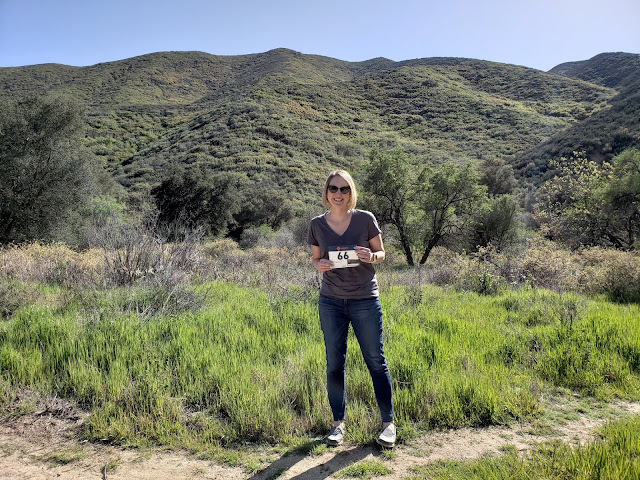 A few months ago, I discovered the update to my most-loved shoe, the Brooks Adrenaline, would no longer be a good fit for me and I wrote about my shoe woes on the blog. I received comments that were super helpful to me and comments that my post helped other people, which was awesome. I continue to struggle with finding a running shoe that makes me happy and figured why not continue to document my journey? Since my post in November, I've tried a few new options and revisited other options already in my shoe tried-on list. I'm pretty sure I've now tried on all available shoes that fall into the stability category plus shoes that don't. One of the more frustrating things is that the stores never seem to have my actual size, so I'm always trying on the wrong width or a size too small. It makes it rather hard to tell if a shoe fits, plus I end up ordering so many shoes to my house which I then have to return. Here's the recent try-on list with my thoughts. Saucony Omni (tried on) - I need a wide but tried on a regular width. It felt like too much cushion, too much support, and too much shoe overall. It feels like it might be even more supportive than the Brooks Adrenaline, and it was not worth ordering in my width for further testing. Brooks Ravenna in wide (ran in & returned) - I was pumped this shoe finally came in wide, but it's still too narrow in parts; my foot hung over the outside and left me with tendon pain after running in them. They are very narrow through the midfoot although the forefoot was great. I like that it's an 8m drop and they are super light. I'd highly recommend this shoe if the fit is good for you. Brooks Transcend in men's (tried on) - This shoe supposedly has a wide toe box but I wasn't feeling it even in a men's width. The overlay on the upper is very structured and could immediately be felt by my foot on the inside, and there is no way it wouldn't cause trouble. Newton Sir Isaac S (tried on) - I'm intrigued by Newton and running in this shoe only made me even more curious. The men's version seemed like a good width and felt good when I ran on the treadmill at the store. I fear the transition period to Newton might be difficult with my generally tight calves, although I haven't ruled this option out yet. New Balance 870 v3 (tried on) - I tried on the normal width in women's and also the men's version. This shoe felt long, weirdly shaped, and just not comfortable. Not worth ordering in my real size. New Balance 1260 v3 in wide (tried on) - I had high hopes for this one when I tried it on in the store, but when my real size arrived at my house I was disappointed. Forefoot width was decent, much better than Brooks, but the top of the shoe felt too low in back and has a strange cushy part that juts out into the heel. It's also an 8mm drop, which I have been hoping to find in my shoe. NB 1260 v3. I really like the NB color options, even multiple colors in non-standard widths! New Balance 860 v4 in wide (tried on) - I'm still hopeful for this one but it's taking forever to arrive at my house from New Balance. Hurry shoe! I tried this on in a half size too small in the store and think it might work for me based on that. However, I thought the same about the 1260. It's a 12mm drop and I'd been hoping to go down, but beggars can't be choosers. This is a tough shoe to find overall but appears to be plentiful from New Balance direct. Saucony Guide in wide (ran in & kept) - This is the same one I've had since my last post and luckily it is growing on me. I still find it to be a little too roomy in the midfoot at times, and I get blisters on the side of my big toe when I add distance in this shoe. If it weren't for the blisters, I'd probably call it my shoe at this point. I like the 8mm drop because I think it results in less calf tightness now that I'm used to it. It gives my foot great space in the bunion area and forefoot. Saucony Guide, are you my shoe? 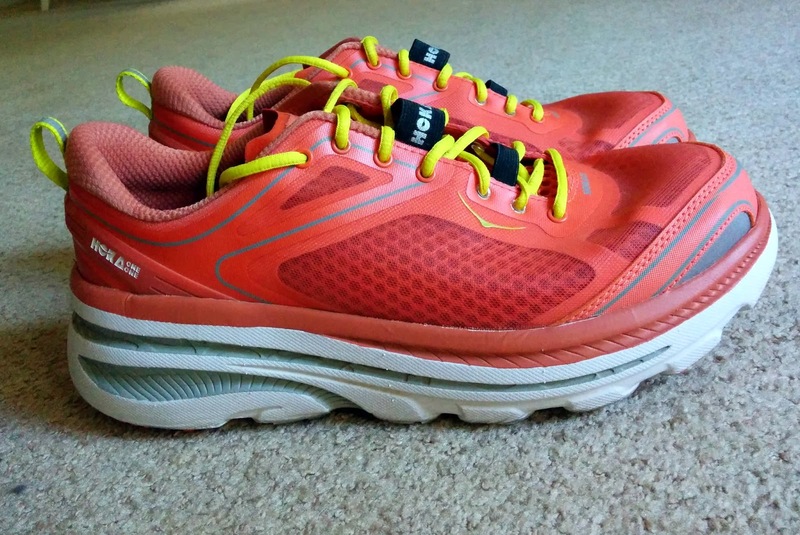 Hoka One One Bondi 3 (ran in & kept) - I've only run in this shoe about 5 times so far but it gets better with each run. As expected, the soles are super cushy albeit a bit bulky and heavy; the heavy feeling is becoming less of an issue as I get more used to the style. The Bondi gives me fantastic width throughout the whole shoe even though they don't come in a wide, and the 4.5mm drop isn't bothering my calves at all. I removed the quick laces and added the normal laces, which I could then lace through the extra hole to keep them on my heel better. I don't see these as my only shoe, but I'm planning to work with them during training and potentially on the trail. I'll likely do a more detailed review post on the Bondi when I have more experience wearing them. Hoka Bondi 3 in its thick-soled glory. Hoka One One Stinson Trail (tried on) - This is a nice shoe and has what may be the most bouncy-cushiony feel of all the Hokas. However, the Stinson road and trail versions are both heavier, bulkier, and much more narrow than the Bondi, making the fit significantly different. I like the material in the upper, which is soft and almost fabric-like. When I went up a half size, it fit pretty well so I might consider the trail version in the future for a trail specific sole. That said, the Bondi has a decently formed sole and gets great reviews from road to trail so I'm going that direction first. One of two colors available in the Hoka One One Stinson Trail. There you have it, the updated list of my shoe discoveries. I'll make sure to update the blog with my final 'shoe love' and a review once I find one. Do you have shoe fitting woes too? What's your shoe love? 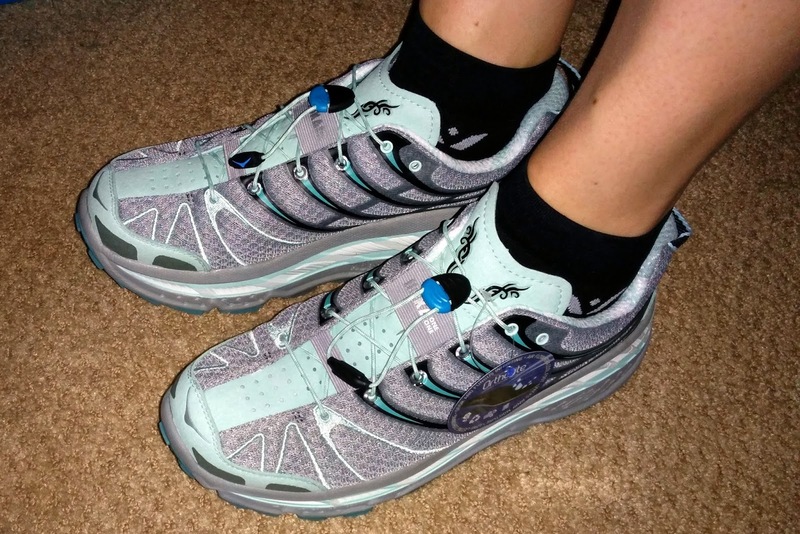 What do you think about the less conventional shoes like Hoka and Newton? Let me know in the comments! I have a lot of shoes that I *like* but I'm still looking for one that I really *love*. I ran in Newtons for a while but am finally giving them up when my current pair wears out because a) I can't feel the ground in them, b) the lugs on the forefoot bug me, & c) they just don't last (and for what they cost, they REALLLLLY need to last). I do most of my road running in Saucony Kinvaras & am currently giving the Brooks Pure Drift a whirl (both 4mm drop). I really love the Altra One, but it's the first zero drop shoe I've worn, so I can't run very far in it at a time yet. Plus.....they are hell ugly. Have you tried Altras? They are super roomy in the toe box. Right now I am running in men's shoes because the women's version were so cramped in the toe box. Maybe try more men's styles? Good luck! I have actually, but it's been a couple of years. I have a heck of a time going to the super low drops and I only got up to 2 miles in them after about 2 months. I guess you could say I gave up on them. I'm trying men's too, usually the women's wide and men's are super similar (in case that ever helps with your cramped toe box!) Thanks for the advice! I LOVE the Brooks Launch. I'm so glad that even though it's been around for years, it has never been updated. Extra love points for just that. Brooks, please don't ever update my one true love. My husband runs in Hokas for recovery runs. I think all shoes can serve a different purpose. I currently run in four different shoes: Brooks ghost, launch, pure flow, and the Saucony Virrata. It helps me to have slightly different shoes just to keep my legs guessing and avoid overuse issues. So far, so good. That's great the Launch keeps working! I bet you were concerned when they talked about discontinuing it. Yikes. I like the idea of having multiple shoes, and your combo of the Ghost down to Virrata make me feel better about my multiple drop heights. I use the launches if I'm doing an easy run and feeling really beat up. I use kinvara 4s for most of my training (light, flexible) and I use Scotts as a compromise in between. Re: tight shoes. One thing I do to make the shoes wider is to relace them to open up the lower two sets of holes. i.e. I don't have any lacing on the bottom 1/3rd of the tongue at all. I find that doing that, and some running, will make a narrow shoe be tolerable in short order. But your feet may be relatively wider than mine vs your shoe sizes. 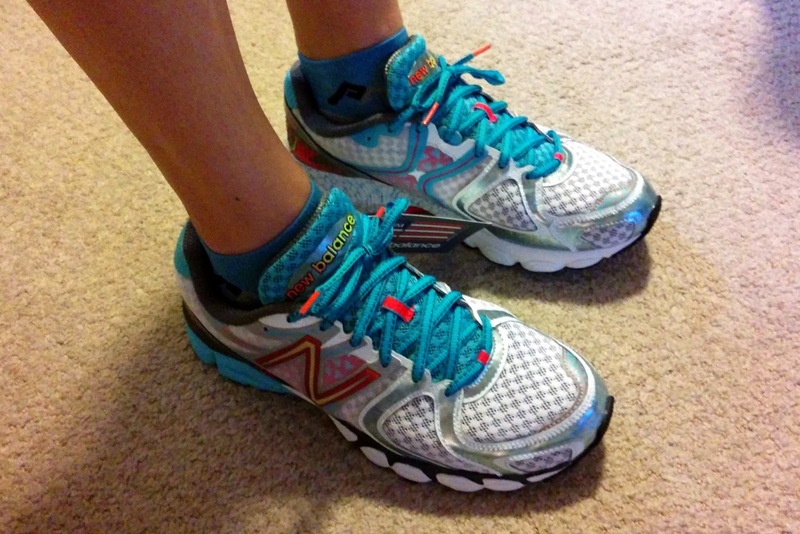 Oh ya, forgot to mention..I tried the Newtons..the lugs felt ok but it worked my calves something fierce! Almost a negative drop unless you use your calves to keep the heels up. Ah good to know - I tried Altras a while back and gave up. It was just too much. And negative drop? Eek. But I can see how that would make sense with the lugs. Innnnteresting -- I don't generally have a wide foot, but I *do* have a wide forefoot, and I've started getting blisters from the Guide too as I go up in distance. So frustrating. I really wanted to love them! I'm following this as a former Adrenaline/Ravenna lover and hoping you find something great for you! I'm currently wearing Asics GT-2000, and whether I love them or hate them is completely dependent on the day. Hmmm so I'm not the only one blistering with the Guide! I so wanted to love them too, but after my half this weekend I'm completely sure they are NOT my shoe. I bought the Asics Kinvara a couple of days ago, it's next up. Fingers crossed! I'm so glad you kept one of the Hokas! Mine is my long distance shoe - 7 miles or more and I'm running in them. Not an everyday shoe, but one to keep in the mix! Yes I'm having fun playing in the Hokas! They have grown on me with each run, hopefully that keeps happening. Who knows, maybe it will be my everyday shoe at some point? Dang Lady, I feel bad for you having to go through all these shoes to find the one! This happens to my husband on a regular basis -- once he finally finds a shoe he likes, they change the model and he doesn't like them anymore. Aw, thanks. It's ok, something will work out (hopefully soon.) Your poor husband. This is the first time I've dealt with it and I'm already at my wits end!